President Obama’s administration is under scrutiny for actions by the Internal Revenue Service (IRS), the federal government’s tax-collection agency. Charges of dishonesty, incompetence, and worse have been hurled at the IRS for the way it handled the review of applications for nonprofit tax-exempt status. Officials of the IRS admitted to singling out groups with “Tea Party” and “Patriot” in their names for additional scrutiny, while claiming it was a necessary tactic to process the high volume of applications. As with any scandal, investigators are pursuing the question Who knew what and when? The targeting of so-called “501(c)(4)” groups came to light because of a Treasury Department inspector general’s report. These groups get their name from the part of the federal tax code that describes tax exemptions for nonprofits that are “primarily engaged in the promotion of social welfare.” They can engage in lobbying and politics only to a limited degree (they cannot back or oppose specific candidates); however, their civic and educational efforts often have political goals. IRS officials emphasized that the agency is tasked with approving only those applications that are legitimate. But the way they went about it meant a disproportionate number of conservative groups had their tax-exempt applications either denied or delayed between 2010 and 2012. President Obama said he first learned about what was going on at the IRS on the news when IRS official Lois Lerner admitted publicly that her office had improperly targeted conservative groups. Obama expressed outrage at the IRS behavior, but then accepted the resignation of IRS Commissioner Steven Miller. Any group granted 501(c)(4) status not only receives a tax exemption; it also is not required to disclose the identity of its donors. The Citizens United decision by the US Supreme Court in 2010, which ruled that many restrictions on campaign spending are unconstitutional, is viewed by many as having “opened the doors” to civic organizations becoming more politicized. This article presents the issues involved in the IRS controversy in Q&A format. 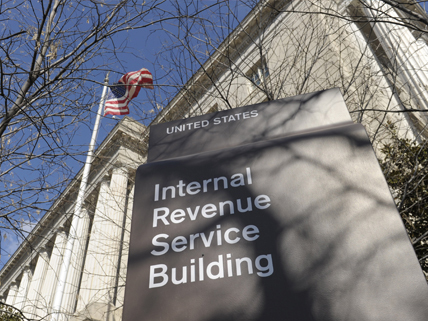 This article summarizes the IRS controversy and the role of White House aides. This encyclopedia entry provides a solid overview of the issues involved. This article describes past “politically motivated” IRS abuses, especially during the years that J. Edgar Hoover’s FBI routinely employed the IRS as a weapon against dissidents. This article reviews other alleged misdoings of the IRS from recent years, in particular during the 2012 presidential campaign.